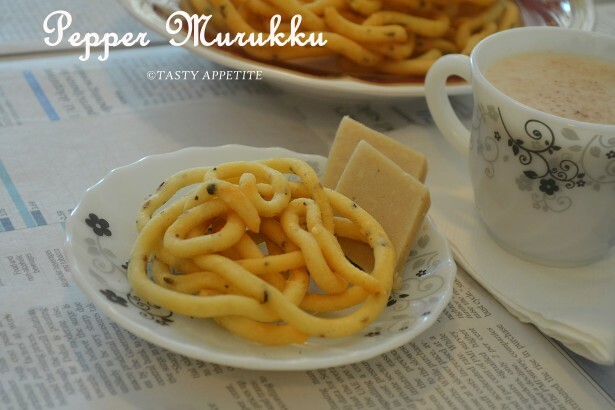 Today I am posting an spicy & crunchy version of festival Savory Dish, Pepper Murukku..!! 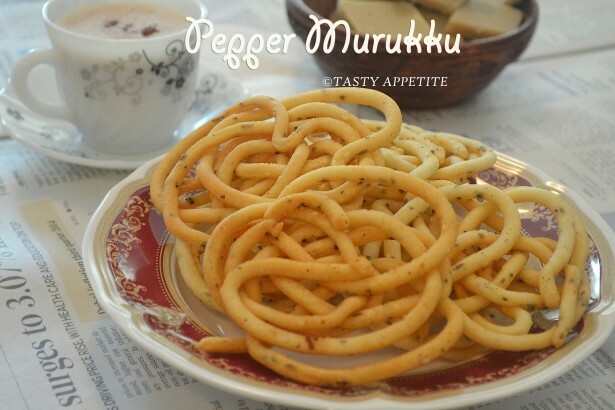 I just love Pepper Murukku than the usual murukku recipe, as it tastes sooper hot with peppery flavor with a cup of tea or coffee. I got this recipe from my cousin sister and thanks to her for this wonderful recipe. 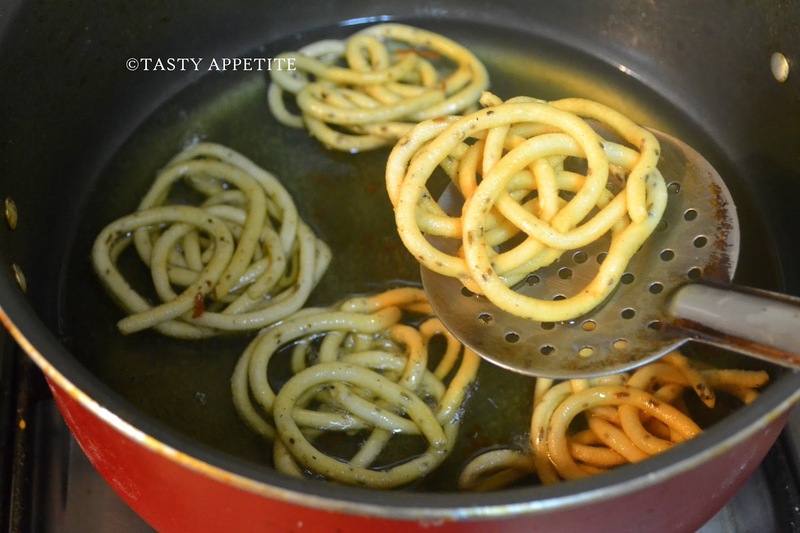 It turned out pretty well and they’re extremely tasty & crispy to enjoy with Diwali sweets. 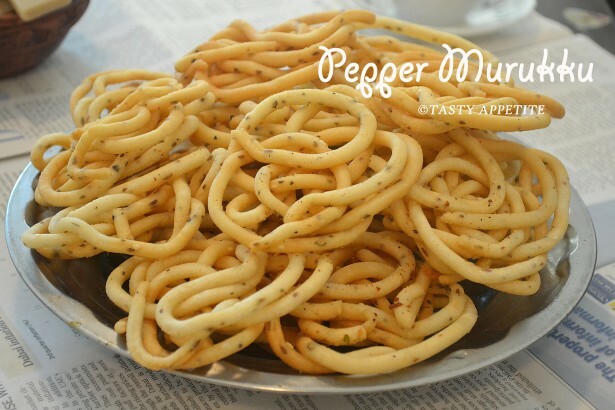 This savory snack is prepared with combination of rice flour, urad dal flour and freshly crushed peppercorns. 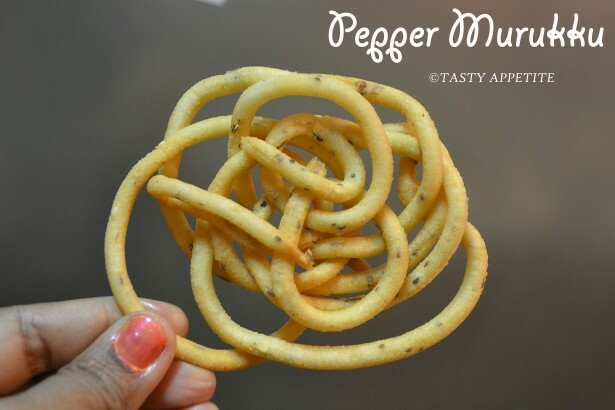 Check out the tasty tea time snack recipe below..! 1. 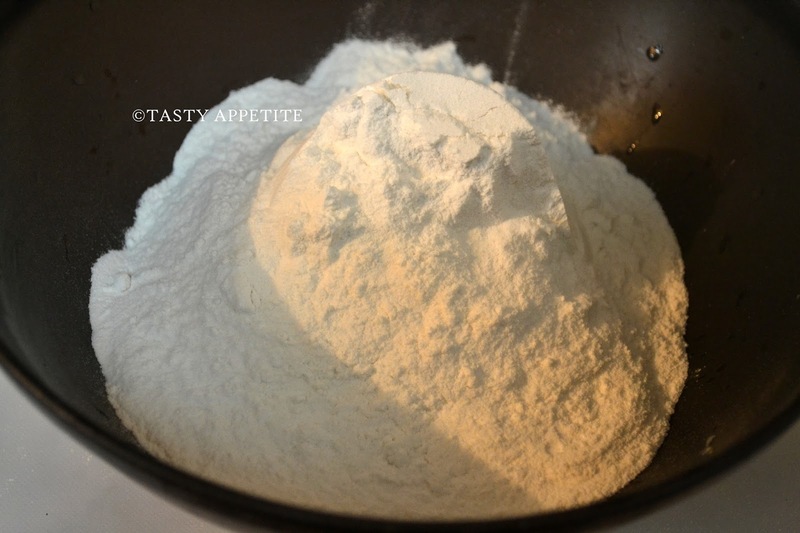 Take rice flour in a mixing bowl. 2. Dry roast the urad dal in low flame till nice aroma comes. 3. When it is cooled down, grind into a smooth powder. 4. 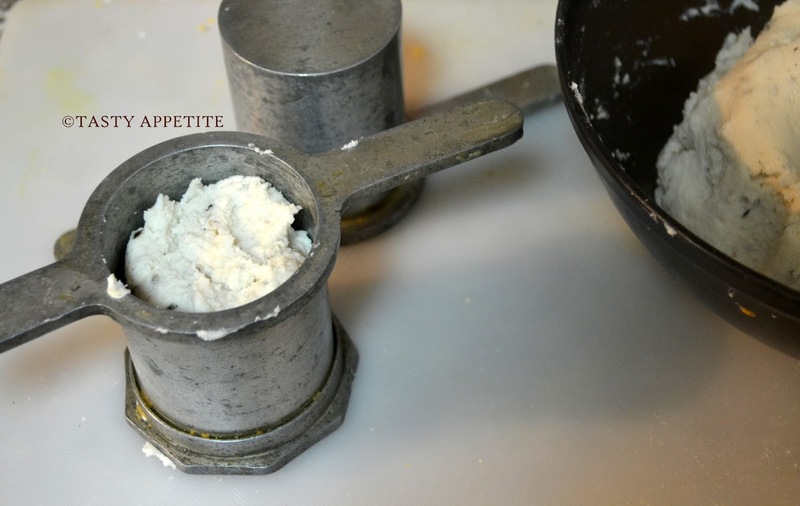 Sieve the powder of dal to remove small lumps. 5. 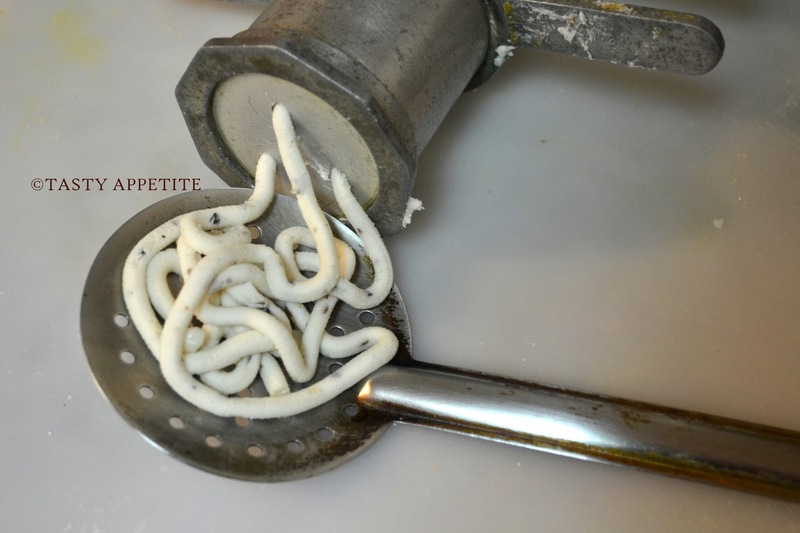 Mix it with the rice flour. 6. Add salt, hing, sesame seeds, cumin and ajwain. 8. 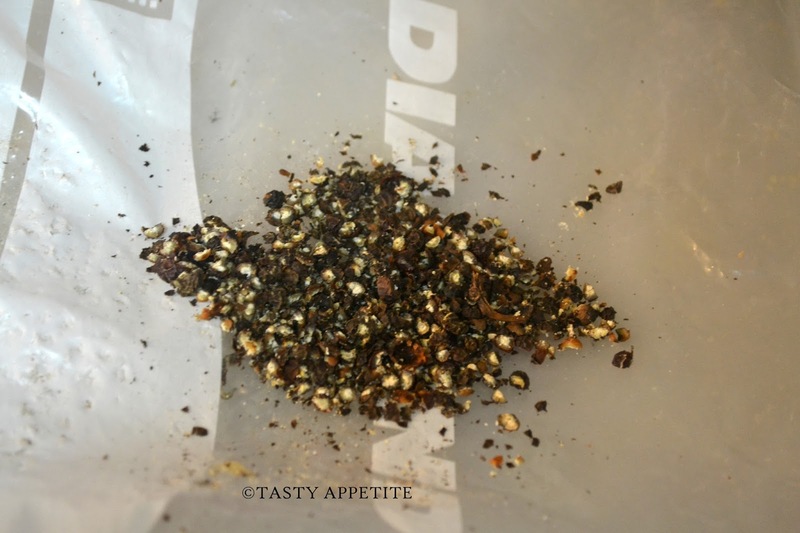 Crush the pepper corns coarsely. 9. Add it to the flour. 11. Now the flour is ready to use for making murukkus. 12. Add water gradually and knead well. 13. 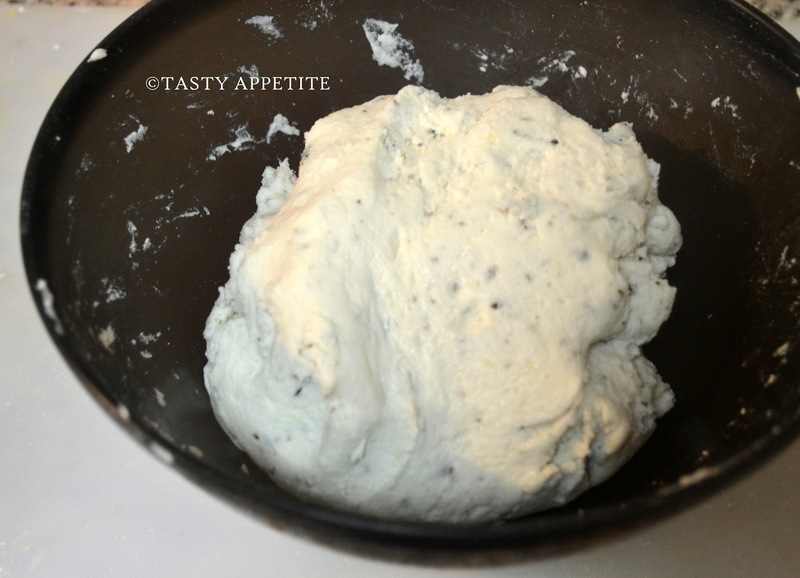 Add butter and make a soft pliable dough. 14. Wash and clean the murukku mould / press. 15. Grease it with oil. 16. 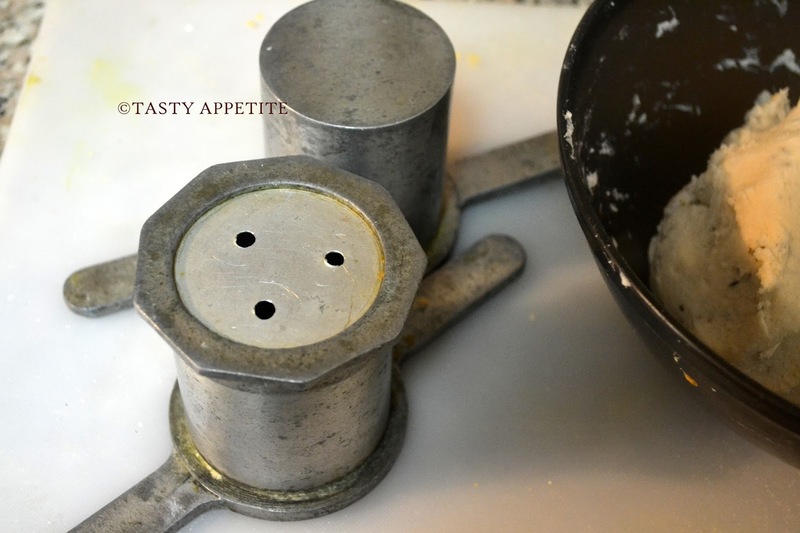 Take a good amount of dough and stuff inside the mould. 17. Heat oil in a frypan. 18. 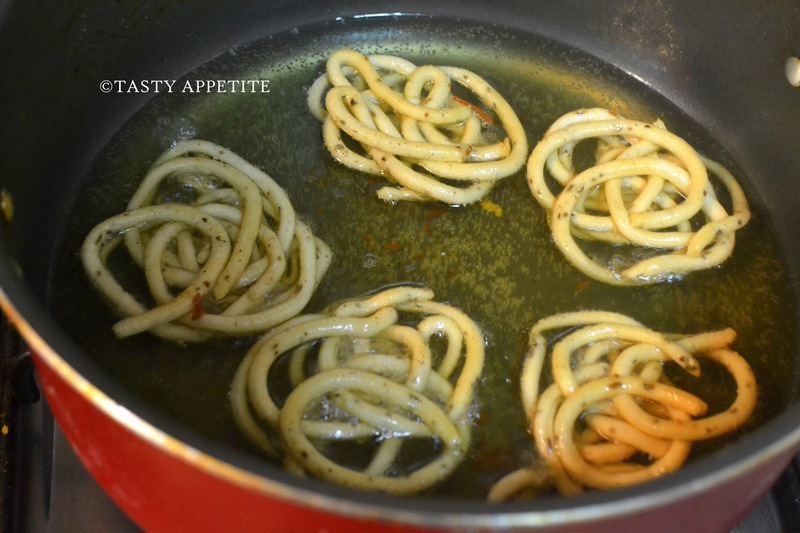 Once the oil is hot, press the murukku directly over hot oil. 19. 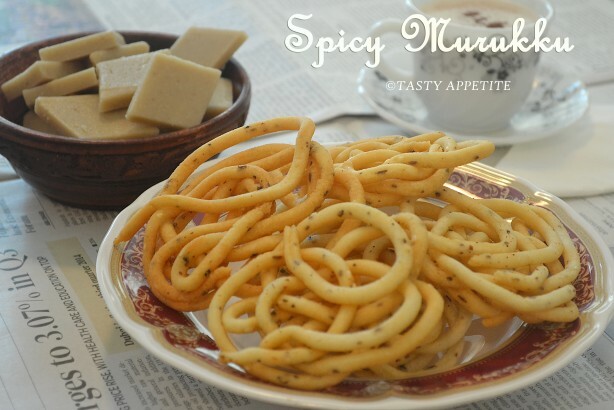 Deep fry the murukkus, in medium high flame. 20. Flip it over to other side and cook until sizzling of oil stops and murukku turns golden brown. 21. 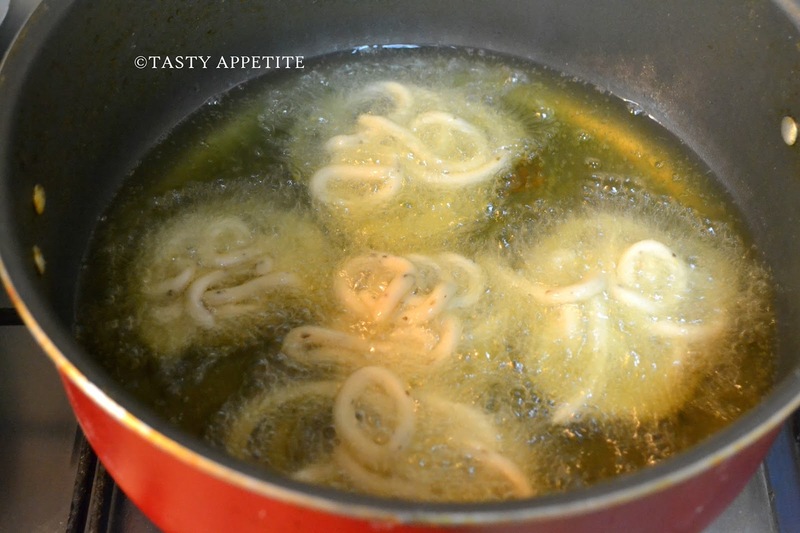 Take out from the hot oil and drain the excess oil in kitchen towel. 22. Repeat the same for the remaining dough. 23. 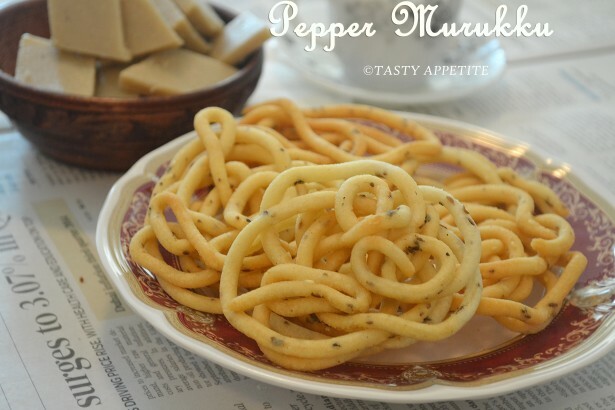 Super crispy Murukku with hot pepper flavor is ready. 24. Enjoy as it is with Diwali sweets or with your piping hot cup of tea or coffe..! 25. Store it in air-tight container for crispness and long shelf life. 26. It stays good for 2 to 3 weeks. Jay please parcel me some murukkus as they look tempting and crispy.